Are you wanting a month of meals ready to cook so you don’t have to stress week to week or day to day? This is the ultimate method for making weeknight meals easy for anyone in your family to manage. Moms tend to be in charge in the kitchen, but with busy work and family life schedules, it can be frustrating to spend hours a week in the kitchen. These tips will help you prepare a month of meals for your family in no time. It all begins with the recipes. There are a ton of ways to go about preparing a month of meals, but the best place to start is by getting your recipes in order. 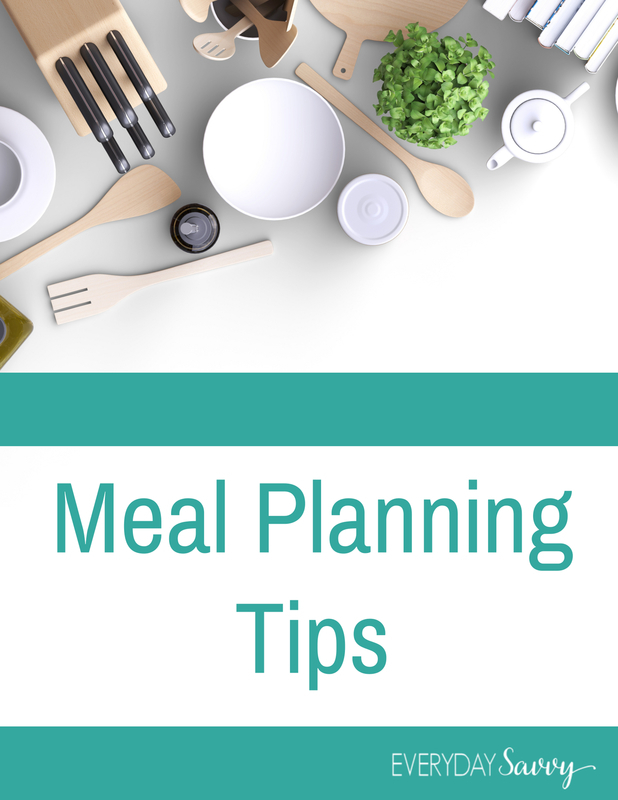 Most often, this list includes just evening meals, but if you are also trying to include your breakfasts and lunches, you will want to plan ahead and add those recipes to your calendar as well. These 20 freezer meal plans make it easy. These They include complete shopping lists and assembly instructions. Wondering how to make your favorite recipes into freezer recipes, I give tips on this here. One great tip for making your recipe list even more cost effective for a month of meals, is to look at the sales at your grocery store for the week you will be shopping. While you want to use your favorite recipes, you may adjust your end grocer list some depending on sales. If chicken breast is much cheaper than chicken thighs you normally buy, you can easily make that substitute. Maybe green bell peppers are on sale in the summer. If so, you can easily add extra to your list to cut and freezer for other meals, or add stuffed peppers to your recipe list instead of another meal. Once you know what you plan to have each day, you can then break down your recipes by ingredients. This takes a bit of time, but is a great way to make sure you don’t get in the middle of meal prep and find you missed an important ingredient when shopping. I recommend breaking down each recipe, then adding up like items once every recipe is listed to create your master list. If you are using meal plans provided by websites or blogs, you are likely to find this has already been completed for you. As you create your grocery list from the ingredient lists of your recipes, make sure to double check your pantry, freezer, and refrigerator before adding items to the list. Use what you have on had first to save more money on your grocery budget for a month of meals in advance. What’s left on your ingredient list is your final shopping list. Shop for ingredients to all recipes. Since preparing a month of meals will take a few hours, you’ll probably want to get groceries at least the day before. This will help you be well-rested and up to the task of shopping. When planning ahead like this, you can easily take advantage of sales on meats, produce, and other items needed for your menu plan. The best way to conquer preparing meals in advance is to get everything prepped before you begin cooking or assembling. If you are doing simple prepped meals that will be cooked after thawed, this process isn’t as time consuming. If you plan to cook meals ahead of time, it can be more time consuming, but well worth the result. Prepping things in advance can be broken down into two categories. Arrange bags or containers on your counter so filling them is easy. Invest in bag holders if needed, and leave containers open with lids off. This keeps things sanitary as you move from recipe to recipe. Have multiple cutting boards ready for use. Preferably you will have one for raw meat, and another for fruits or vegetables. Have all tools and utensils washed and ready for use. This includes knives, spoons, bowls for mixing, saucepans, or skillets as needed. Have sanitizing wipes, paper towels, and cleaner on hand for spills and cleanup as you work. Empty your dishwasher and sink before you get started so you can load all dirty items directly into them to be washed right away. Prep each item all at once. Dice, chop, slice, julienne each vegetable then separate into containers as needed. Doing all of your onions, all carrots, etc. at once will cut back on overall prep time, and help keep mix-ups and forgotten items to a minimum. This keeps an assembly line going that makes it take much less time. Do the same with meats. Roast, broil, bake, grill, or sauté all meats at once. For example, if you have 3 meals using browned ground meat, cook all at once with just salt & pepper seasoning, then separate and add individual seasonings as needed. Do the same with any vegetables or sauces and broths that will be used in multiple recipes. Use lined baking sheets to flash freeze items for storing in freezer containers or bags. Spreading items out on a baking sheet to cool, then move into the storage container can make it a lot easier and faster to manage. Choose your cooking method in advance and prep with that in mind. Bags work well for Crockpot meals. Containers best for items to heat in the microwave. Aluminum pans and trays for casseroles to go from refrigerator to oven. For those who want to prepare a month of meals ahead of time, these tips will keep you on track and ready to conquer a few hours of hard work in the kitchen that will save you time and money in the long run. Not sure about making a whole months of meals ahead? This book Prep-Ahead Meals From Scratch: Quick & Easy Batch Cooking Techniques and Recipes That Save You Time and Money is very helpful to get meals on the table quicker and give tips on how to pre-cook proteins. If you want to try out just 10 freezer recipes that you can make in an hour, this freezer meal subscription service makes it easy. Organizing of meals is always helpful. Pinning, thank you. I’m visiting today from #thecreativecorner linkup. This is serious dedication and a good idea I need to try.